Cascade's Vista Park Models are quality built by Palm Harbor Homes. These homes feature standard 9:12 pitched roofs, architectural shingles, increased standard insulation, energy efficient vinyl dual pane windows, standard tape & textured walls. Our floors are water resistant, tongue and groove decking, no chip board here! But the best reason to buy a new park model home from Cascade Factory Homes, we do all of this and still sell for less! and someone will contact you, usually within 24 hours. Our 123737 is the perfect park model for that weekend get a way or for that family member on your property. Loft's available! 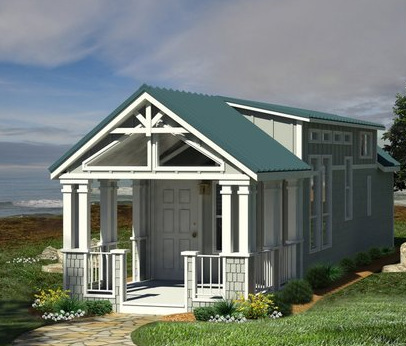 One of our most popular Palm Harbor floor plans, the park model 123731 is versatile and can be ordered with optional loft and covered porches. 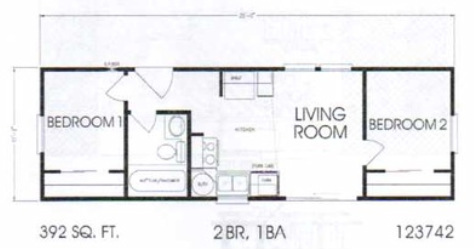 Here is our unique and very popular 2 bedroom park model floor plan. Palm Harbor Park Model 123733. Optional loft is available. Park Model Homes built by Palm Harbor Homes a division of Cavco.